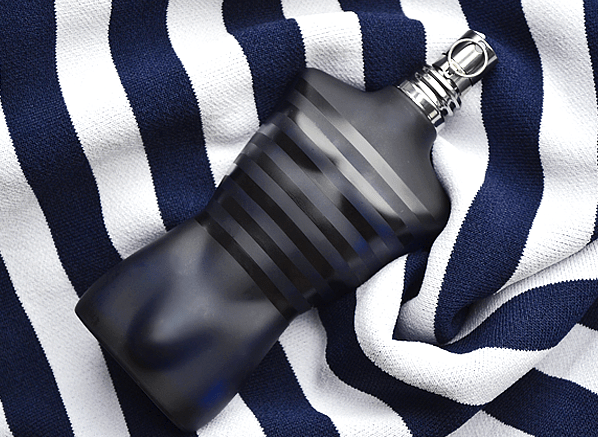 The success of Jean Paul Gaultier’s iconic masculine fragrance Le Mâle somewhat overshadows the greatness of anything else the brand has created. Many of the Gaultier fragrances that followed – the likes of Fragile and Gaultier² – were just as innovative and remarkable as Le Mâle, even if the market wasn’t quite ready for them at the time. Le Mâle is often talked about and nearly always lauded – I myself have written about it on numerous occasions, partly because it’s an icon, and partly because it played a large part in my formative years – I wore it throughout my adolescence and on many a raucous night out (and in…). But this article isn’t about Le Mâle, no, Le Mâle gets more than enough attention (cheeky git that he is). This is a celebration of Classique, the feminine counterpart to Le Mâle and Gaultier’s very first fragrance – a perfume that doesn’t get the spotlight anywhere near as often as it deserves or desires. Classique has sat on the shelves of our department stores and our bedrooms for 26 years now and whilst others have come and gone, Classique has remained, proving that a good idea executed at the right time really does stand out. But what makes Classique so timeless? Today we’re going to find out. The great thing about packaging your flagship fragrance in the shape of a couture-clad torso is that you can redress it again, again, and again, leaving lots of room for many exciting limited editions. The possibilities are endless and it’s true, Jean Paul Gaultier’s Classique has a vast wardrobe (one that many a supermodel would envy) packed to the brim with corsets and gowns, each of which has been fashioned from the imagination of a game-changing, rockstar of a fashion designer: the cheeky yet supremely talented Jean Paul Gaultier. For 2019, Classique once again has a new outfit and this time, a new scent to match too. Classique Cabaret is the latest limited edition to launch in the Classique canon and aside from the original, which I love, I’m going to go out on a limb and say that this is the best version yet. Inspired by the cabarets of the 1940s, Classique Cabaret is a light-hearted and liberated fragrance that just wants to have fun. The glitzy-red dress wearing Classique Cabaret blends the signature orange flower of Classique with electric ginger and sensual amber, putting together quite the olfactory show. So roll-up, roll-up, take your seats and get ready for the smelliest show in town: the Jean Paul Gaultier Classique Cabaret! The super new limited edition Eau Fraiche editions of Le Mâle & Classique by Jean Paul Gaultier. Reviewed on Escentual. Clicky here to read. It’s hard to think of a ‘his ‘n’ hers’ perfume duo more iconic than Jean Paul Gaultier’s flagship masculine and feminine fragrances, Le Mâle and Classique. Together they capture the cheeky, sexually-charged and contemporary spirit of fashion’s naughties designed. They changed the way we think about perfume presentation and have managed to remain undated, despite their ever-so-90s aesthetic. Today our fragrant power couple have gone under the knife with olfactory surgeons Daphne Bugey (Classique Essence de Parfum) and Quentin Bisch (Le Mâle Essence de Parfum) to be fitted with an entirely new look, and smell. Click here to check out my full review of the Jean Paul Gaultier Essence de Parfums over at Escentual. What do you get when to you take Jean Paul Gaultier’s Le Mâle to the gym and tell him to avoid manscaping for a few weeks? Well, you get Ultra Mâle, that’s what. Ultra Mâle is the latest incarnation of Gaultier’s beautifully buffed sailor boy, and this time our beloved seafarer has gone rogue. Launched to celebrate the 20th anniversary of Le Mâle, and created by the perfumer Francis Kurkdjian (the same dude behind the original) Ultra Mâle brings the (timeless) barbershop fougére bang up to date and places it in a more oriental setting, and a thoroughly rugged one at that. To read my full review on Escentual, simply click here!